A small primer into a new paradigm. Web 1.0 is the ‘old’ web, where the Internet is mainly a source of information. It is basically one-way communication. Web 2.0. goes one step further: not only does the Internet supply information, it also offers the opportunity for sharing information, knowledge and experience. The Internet is an interactive medium. Users communicate and inform each other continuously through social media like Twitter, YouTube and weblogs. 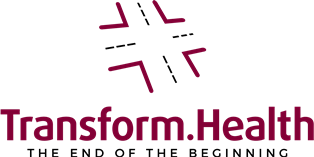 Health 2.0 is web 2.0 in the field of healthcare. It’s all about participation and sharing information between patients as a group, but especially between health care provider and patient. Communication between healthcare provider and patient is changing drastically. This goes much further than just the Internet. The effect will also be noticeable in the consulting room and throughout the healthcare process.